Today’s recipe is a fresh spin on the traditional Thandai that is layered with cookie crumbs, mousse, and Gulab Jamuns. A yummy and delicious treat that is just perfect for the festive season! Holi – the colorful festival of India is famous for its drink: Thandai and lip-smacking dessert recipes. No Holi party or get-together is complete without Thandai; therefore, this year I intend to surprise my guests with a delicious twist on the classic thandai that I love to call as Thandai Mousse Cups! This recipe is the perfect fusion of two sweets: thandai + Mousse, where the evergreen thandai powder is infused into a creamy and fluffy mousse. The goodness doesn’t end here, I have elevated this dessert to a whole new level with the addition of Gulab Jamuns, creating a decadent sweet that screams Indian flavors and is perfect for any occasion! cools you down on a hot summer day. How to make Thandai Gulab Jamun Mousse Cups? The idea of merging thandai powder with mousse and gulab jamun was floating on my mind for quite some time. The initial plan was to make a mousse pie but then switched to individual serving cups as they are portion-controlled and easy-to-serve. 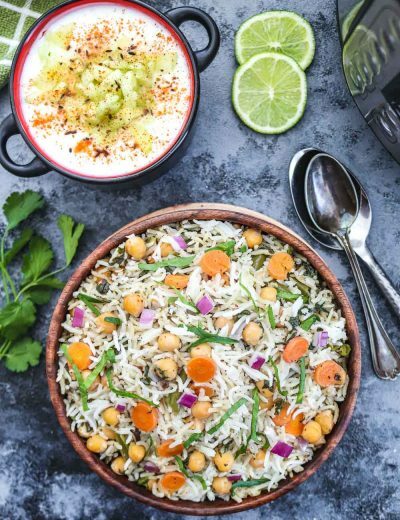 The star ingredient for this recipe is Thandai powder. This powder is readily available in your nearby Indian stores. If you still can’t find one, you can make thandai powder at home. The recipe is provided below. Start the recipe by preparing the base. The base for these mousse cups is made up of cookie crumbs, butter, and flavored with thandai powder. Cool the cups in the fridge while we prepare the thandai mousse. For a more luxurious and creamier mousse, I have used cream cheese + heavy whipping cream and flavored with cardamom essence and thandai powder. To assemble – top the cookie crumb with a layer of gulab jamuns followed by a generous swirl of thandai mousse and repeat until you reach the top. Wrap the mousse cups with a plastic wrap and chill for 1-2 hours. Once chilled, decorate the chilled cups with dried rose petals, gulab jamun, slivered nuts, and serve! Most mousse recipe uses a stabilizing agent to set like agar-agar-cornflour or gelatin, but this one is different. This recipe is somewhere between a whipped cream consistency – thick, yet light and fluffy, and once chilled it becomes more firm and steady. A flavorsome recipe that will melt in your mouth with every bite. Today's recipe is a fresh spin on the traditional Thandai that is layered with cookie crumbs, mousse, and Gulab Jamuns. A yummy and delicious treat that is just perfect for the festive season! Combine all the ingredients listed under thandai mix in a blender/grinder. Grind the ingredients into a powder. Set it aside. Crush cookies using your food processor until you get fine crumbs. Another way is to put the cookies in a ziplock bag and crush using a rolling pin. Transfer the crushed cookies to a bowl. Add thandai mix to it and mix. Add melted butter and mix until the crushed cookies feel like gritty sand. Take your serving glass or bowl and spoon an equal amount of crumbs at the bottom of each cup. Using a spoon or a small glass, press the crumbs to the bottom and place the cups in the refrigerator to chill. Pour 1 tablespoon warm milk in a bowl, add 1 teaspoon crushed saffron to it. Mix it well. Let it rest for a minute. Assemble cream cheese, saffron mix, and powdered sugar in a mixing bowl. Beat for 5-6 minutes or until smooth and lump-free. TIP - Make sure the cream cheese is at room temperature before you start mixing it with other ingredients. Beat for 3-4 minutes until it forms soft peaks. 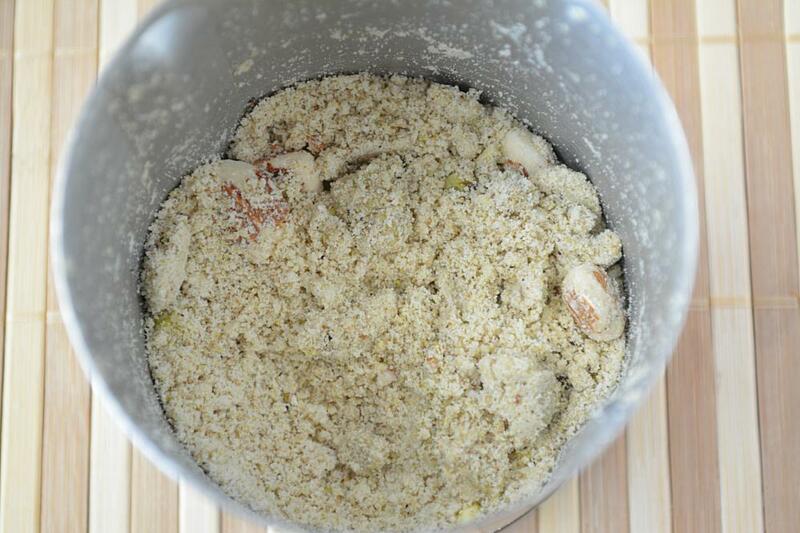 Add Thandai mix and carefully fold in the cream cheese mixture. Remove the glasses from the fridge. Cut gulab jamuns in halves or add the whole on top of the cookie crumb layer. Pipe the thandai mousse layer on top. Again layer with gulab jamuns followed by Thandai mousse. Repeat until you reach the top. Cover with a plastic wrap and chill in the refrigerate for at least an hour. Once chilled, decorate the cups with gulab jamuns, dried rose petals and slivered nuts and serve! It's always fun to experiment, so here are some variations that you can try! Cream cheese can be swapped with thick hung yogurt. This recipe is alcohol-free, but if you wish, feel free to add a few drops your favorite alcohol to the thandai mousse. This recipe is perfectly sweetened but if it's too sweet for you then try swapping gulab-jamuns for fresh fruits. Thinking of serving it to a large group, buy small cocktail cups. Layer with cookie crumbs, one gulab jamun, thandai mousse and serve. Individual servings are the best. Chilled mousse tastes good. Therefore, I recommend keeping the cups in the fridge for an hour. Store-bought gulab jamuns will work great too. Just make sure to rinse the extra syrup off the jamuns. Can be made in advance! This Holi, amaze your family and friend with this showstopper thandai mousse cups! Your presentation is fantastic. Am going to try this recipe on the weekend. Can I use only whipped cream to make the mousse? What quantity shoukd I take? Will ginger biscuits taste goid as a crumb base? Loved the idea of fusion dessert. You can give ginger biscuits a try but I think that ginger biscuits may leave a strong after taste of ginger in the cups. Also, whipped cream will need a stabilizer to holds its shape as a mousse and that would be either gelatin or agar-agar (vegetarian option). Can you skip the whipping cream? You can surely do that, but if you remove whipping cream from the recipe then it will just a cream cheese frosting with condensed milk, essence, and thandai powder. Meena is that what you are looking for – a cream cheese frosting? Please add 2 teaspoons of thandai syrup to the mousse. In fact, I was searching for Thandai essence, but couldn’t find one. Hello Ruchiji!! Could you please tell me what cookie have you used for creating the crumbs? And are store bought gulab jamun okay for this recipe? 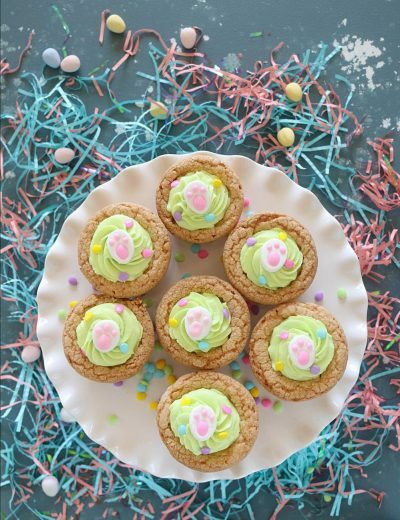 Jshah, I have used sugar-free Marie cookies. And yes, store-bought gulab jamuns will work just fine. Just remember to rinse the sugar syrup off the jamuns.